Even though the Business Talent 132 visa is available throughout all of Australia, South Australia sponsors over 50% of all 132 visa applicants every year. So, why is South Australia so attractive to 132 visa migrants? For migrants looking to immigrate to Australia, South Australia has a great deal to offer. Whether you are a visitor, student, or migrant, South Australia has a number of opportunities available. First, South Australia has a high standard of living. 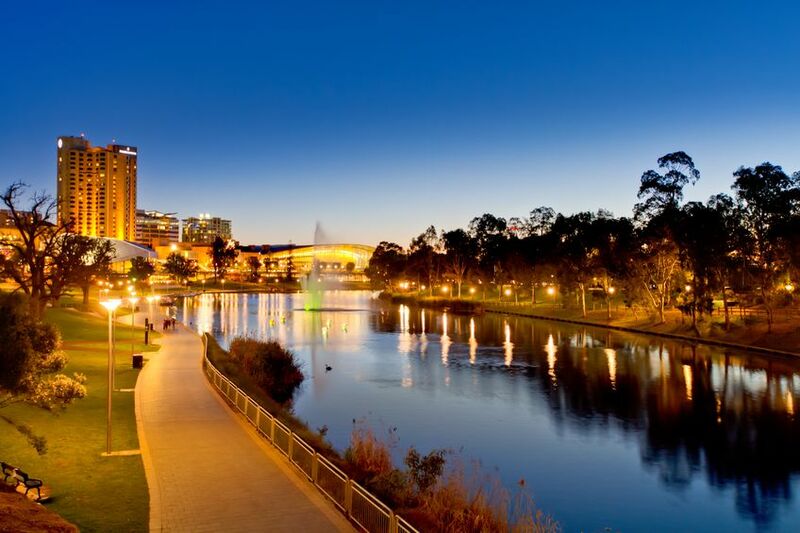 Not only has Adelaide been ranked as one of the top 10 most livable cities in the world by the Economist, but since 2011, Adelaide has been ranked as Australia’s most livable city three times. South Australia's unique geographical environment makes it rich in agricultural resources, especially the wine and grape industry. South Australia's climate is particularly suitable for growing grapes, and its wine production exceeds half of all Australian wine production. Some well-known Australian wine brands are also native to South Australia, like Penfolds. The Business Talent (subclass 132) Visa encourages successful business owners and investors to settle in Australia while developing a new or existing Australian business. Moreover, the subclass 132 Business Talent visa is the only business/investment visa which grants permanent residency upon approval. There are currently two streams in the Business Talent 132 Visa; the Significant Business History Stream and the Venture Capital Entrepreneur Stream. Both of these visas will allow you to stay in Australia permanently. Applicants for the subclass 132 Business Talent visa are not subject to the points test. Every state or territory government enforces its own requirements for nominating a migrant and South Australia is no exception. To be eligible for a 132 Business visa in South Australia, the applicant must be able to adhere to the following requirements. Benefit to State - Commit to invest in South Australia and meet the benefit to state requirement. Maintain contact - Agree to register your arrival in South Australia with Immigration SA, maintain current contact details and provide updates online and in person every six months for the duration of your visa. Meet Achievements within two years - Provide information to Immigration SA to enable a two-year review after visa grant. The information must detail the type of business being conducted, the scale of the business and which of the Benefit to State requirements you have met. SkillSelect Expression of Interest (EOI) – you need to have an EOI which meet the Department of Home Affairs 132 SBH stream criteria and Immigration SA nomination requirements. What Seperates South Australia From Other States? As you have read above, South Australia offers an amazing standard of living, has plenty to do, and even more opportunities for migrants, but what truly sets it apart from the other states when considering the Business Talent 132 visa? All in all, lower 132 visa requirements. has the lowest Benefit To State (BTS) requirements for its 132 applicants out of the 4 main states. provides more options for its migrants to meet the review in 2 years’ time. is the only state that waives the age requirements if you can bring significant benefits to the state. government is also very friendly and supportive of its migrants. It holds Trade Shows for the business migrants every year, introducing local business to the migrants. To be invited to apply for a Business Talent 132 visa, you must meet the above criteria. Work Visa Lawyers will guide you through the process and assist you in providing supporting documents. Benefit to State is a list of criteria set by the state that the visa holder must fulfill. Below you will find the Benefit to State criteria for each state. The 132 visa holder must fulfill all of the criteria set forth by their state within two years. If the visa holder fails to meet the requirements within two years, the state has the ability to cancel the visa. · $2 million in funds to NSW (inclusive of $1 million business investment) in regional NSW. How Can Work Visa Lawyers help? The subclass 132 Business Talent visa requires detailed and complete business and financial documents to demonstrate business or entrepreneur experience. Work Visa Lawyers will assist you to determine the necessary documents and information required to submit a strong visa application. Work Visa Lawyers will also assist with the state/territory nomination application and can also assist with arranging the transfer of funds once the visa is granted, or arranging consultations with the Australian Private Equity and Venture Capital Association Limited (AVCAL) members for the Venture Capital Entrepreneur stream. Based in Adelaide South Australia, we are in tune with the SA communities and immigration climate. We provide Australian Immigration advice to people and businesses from all over the world.